I hope that you all had a fantastic weekend and that October is treating you well. Where I live we have had a lot of rain and the weather is cooling down, which is helping my creativity and my want to be in my scrap nook! 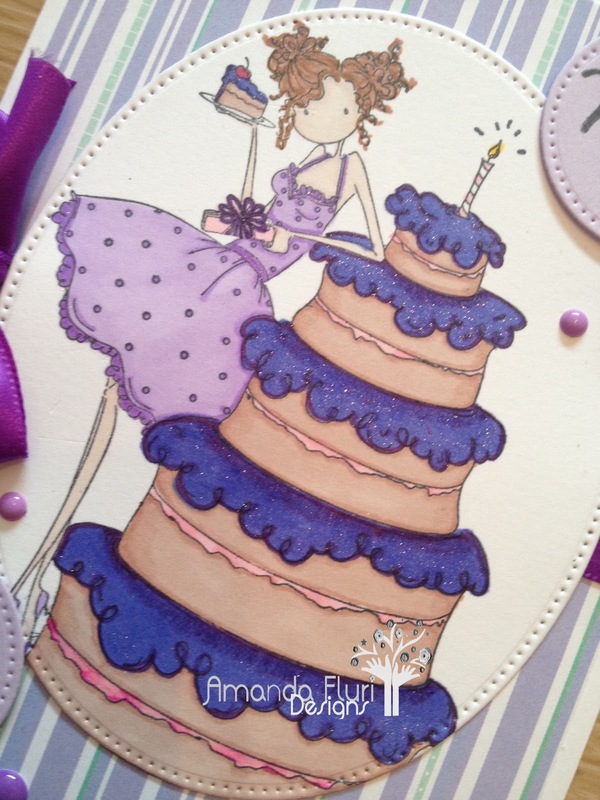 Today is Day 3 of my challenge, and I just can't get enough of this Stamping Bella challenge. Yesterday I posted a card (you can see it here) for the challenge, and I thought that I would do another one for today. You truly do forget how much you enjoy something until you haven't done it for a while, and when you do it again, it brings you so much joy. That being said I decided that I would play along with the challenge again today. The challenge is Free Form - so basically anything goes. In the past I created a card somewhat similar to this card. I went through my stash and some of the elements were the same as one I have made before so I decided to run with the scraps and the pieces and design this card. I started as I do most of the time with the papers or a pattern paper with lots of colours, and then I build the card from there. Here's the front of the card...(I apologize for the poor quality of the photo). Mono Multi Glue - used to attach the oval to the card. 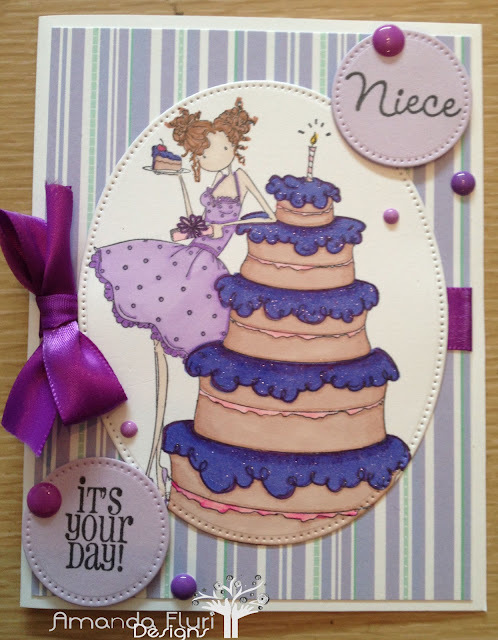 Stamping Bella - Uptown Girl Bianca has a Big Cake- main image on the card. Letraset Promarkers - used to colour the image. Cuttlebug Machine - tool used to cut out the circles and oval with the pierced edges. Wink of Stella (clear) - used to add shimmer to the image. 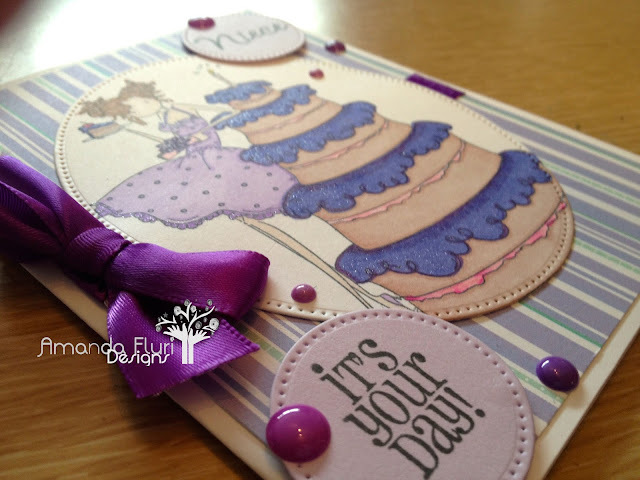 Ribbon - used to add a silky texture and shimmery finish to the card. 110lb cardstock - used to stamp the image onto. Please come back and visit me again tomorrow...any guesses as to what the theme tomorrow will be?